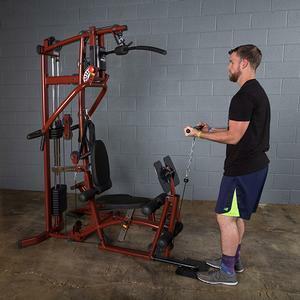 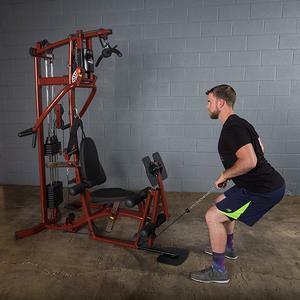 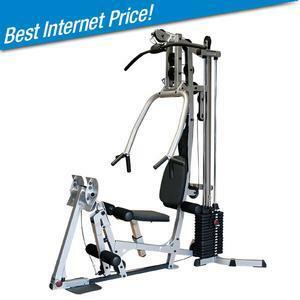 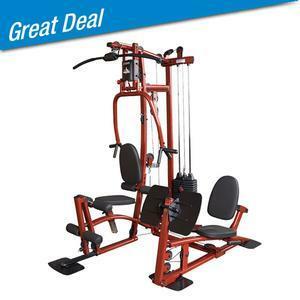 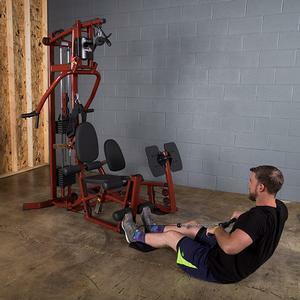 EXM1 Home Gym with Leg Press, Save over $500! 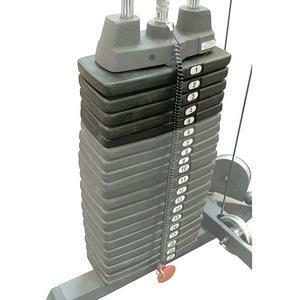 EXM1LPS - Exclusive to Fitness Factory, Multi Station Gym, with leg press and 160lb. 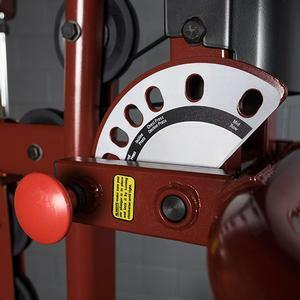 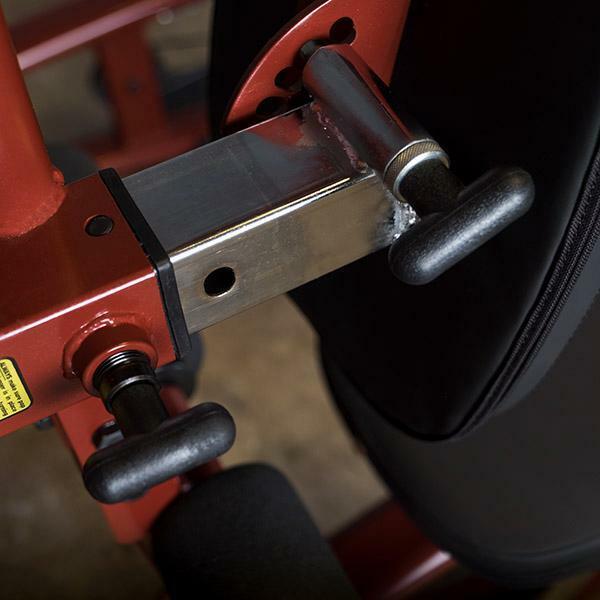 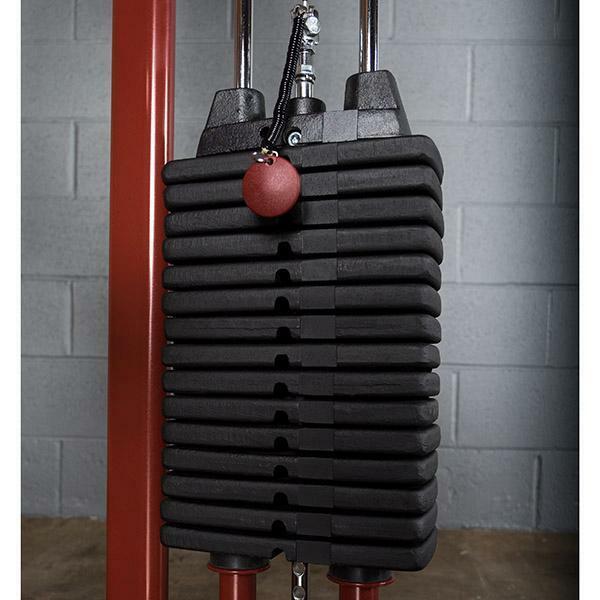 weight stack is perfect for your garage, studio, or basement! 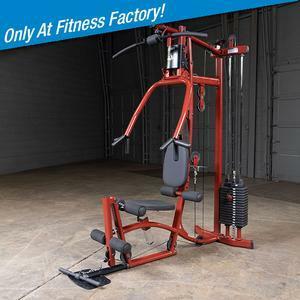 Free shipping and Sale price combines to save you over $500!! 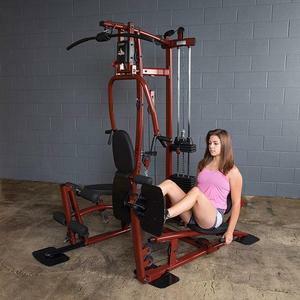 Need more weight? Add optional 50lb. 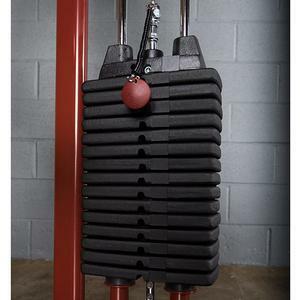 weight stack for an ample 210lb. 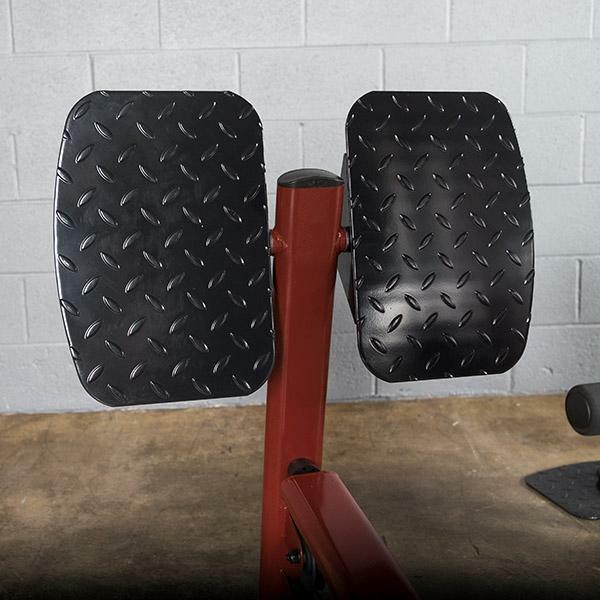 stack! 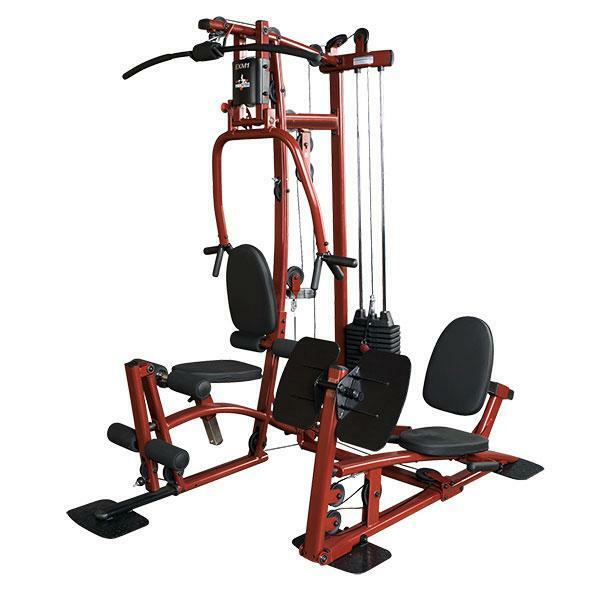 The EXM1 Home Gym features a pre-welded frame in 2 major sub-assemblies, thus increasing stability while at the same time offering substantially reduced assembly time. 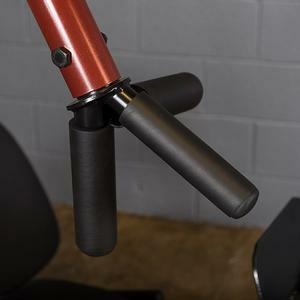 The compact, feature-packed design of the EXM1 offers proven motion and pivot points for a fluid routine. 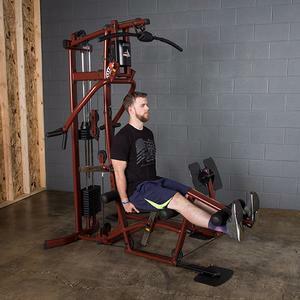 To increase comfort and functionality, ergonomically correct press arms allow for natural arm movement as you cruise through your favorite workouts. 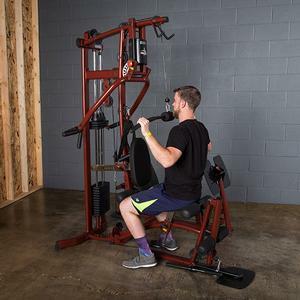 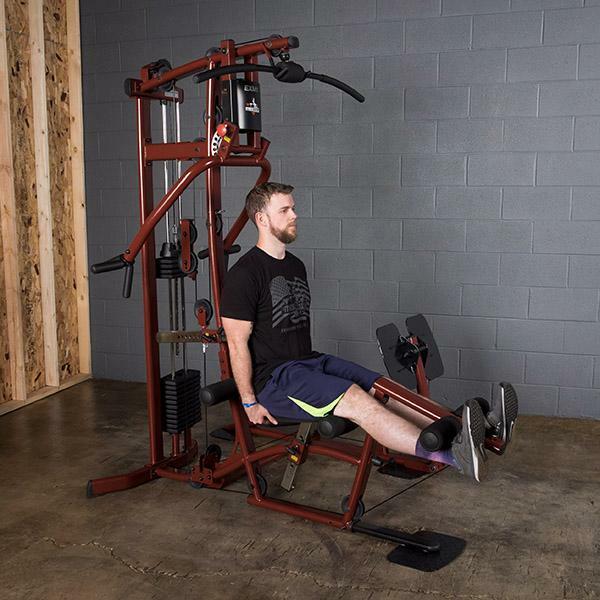 This machine also offers the added benefit of an optional leg press station that can be mounted on either side of the gym. 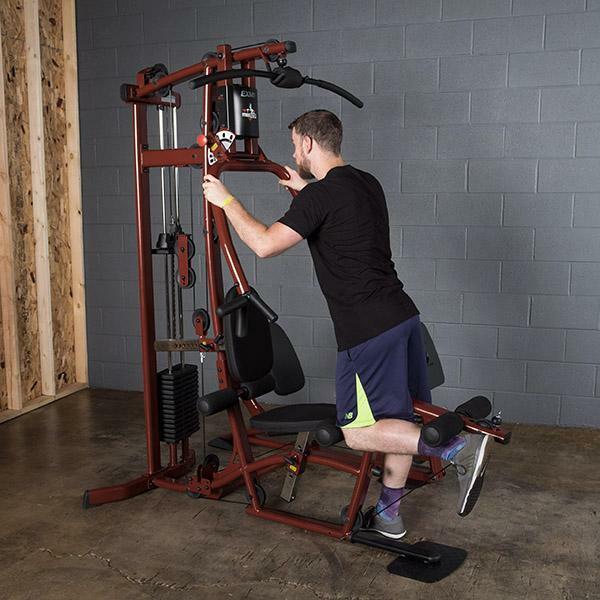 Finally, advanced engineering has resulted in exceptional range of motion and full adjustment for any size user. 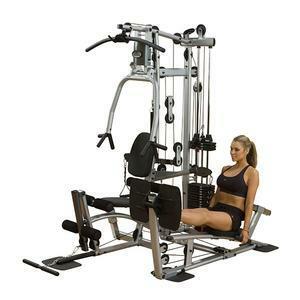 Gym Includes the following accessories: 48" Lat Bar, Low Row Bar, Abdominal Harness. 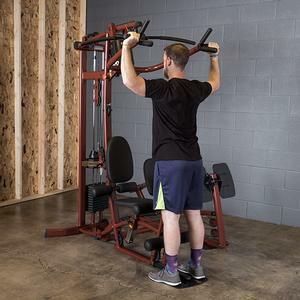 Fast and simple installation bumps your stack up to 210lbs. 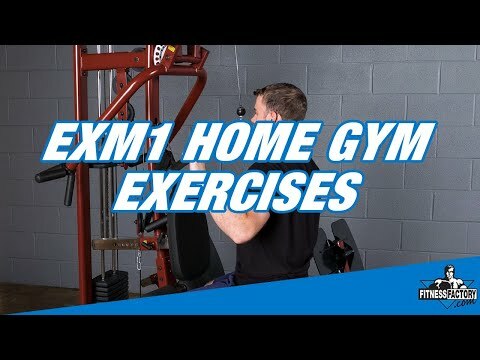 The EXM1 Gym is protected forever by the Body-Solid In-Home Warranty, which covers everything for as long as you own the gym! This home gym is perfect for your garage, studio, or basement. The entire gym is top quality construction that is warrantied forever!